Native grasses can be used as specimen plants, as you would any flower or shrub, they can be mixed in with wildflowers to produce a prairie effect, and they can be used in mass plantings to produce stunning swatches of seasonal color in your landscape. 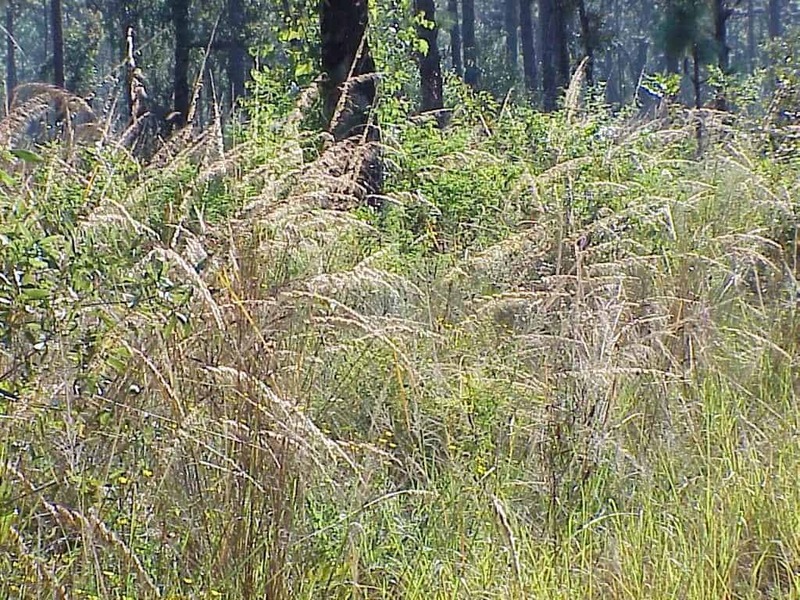 Much of Florida’s wildlife use grasses for various purposes … nymphs, skippers and satyr butterflies use many of the native grasses as larval food plants, birds and other wildlife eat the seeds, many animals use the soft tufts of grass blooms for bedding and nesting material, and many animals live in the grass itself. 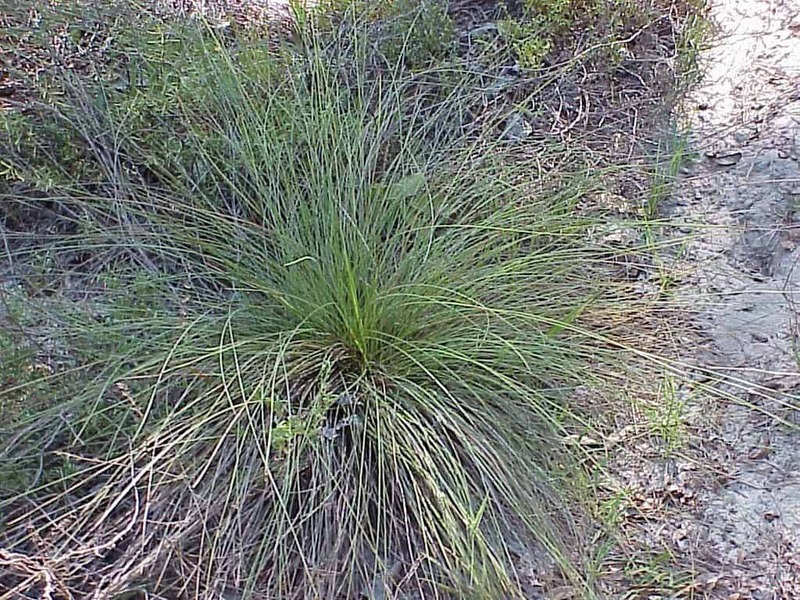 Bushy bluestem (Andropogon glomeratus) has a stalk that can reach 3 feet in height. Mature plants can reach up to 6 feet in height and tend to spread as wide. The flower stalks appear in late summer and reach about 6 feet in height. The flower is silvery white. It tolerates full sun to filtered sun, sandy to slightly organic soil, and a range of moisture from well drained to seasonally moist. Wiregrass (Aristida stricta var. beyrichiana) leaves are gray green with a wiry appearance. Mature plants are approximately 1½ feet wide by 2 feet tall. The flower stalk is generally 18 inches in height, but may reach 3 feet. It tolerates full sun to filtered sun, sandy soil, and a range of moisture from well drained to seasonally wet. If it is burned in late spring you will be rewarded in the fall with 2 to 4 foot tall golden seed stalks. Burning can be done on an individual plant basis. 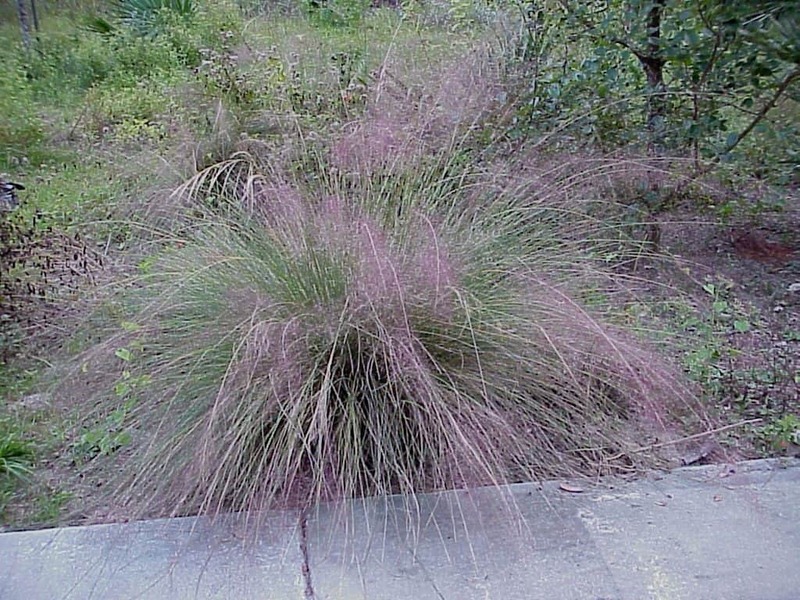 Muhly grass (Muhlenbergia capillaris) foliage is thin and wiry with a needle like appearance. Mature plants are approximately 3 feet wide by 3 feet tall. The fine-textured, maroon-pink flowers are on 20-inch long stalks. It tolerates full sun to filtered sun, dry to moist, sandy to slightly organic soils. Lopsided Indiangrass (Sorghastrum secundum) foliage is less dense than the other grasses. However, the flower seeds make up for the loss in foliage. 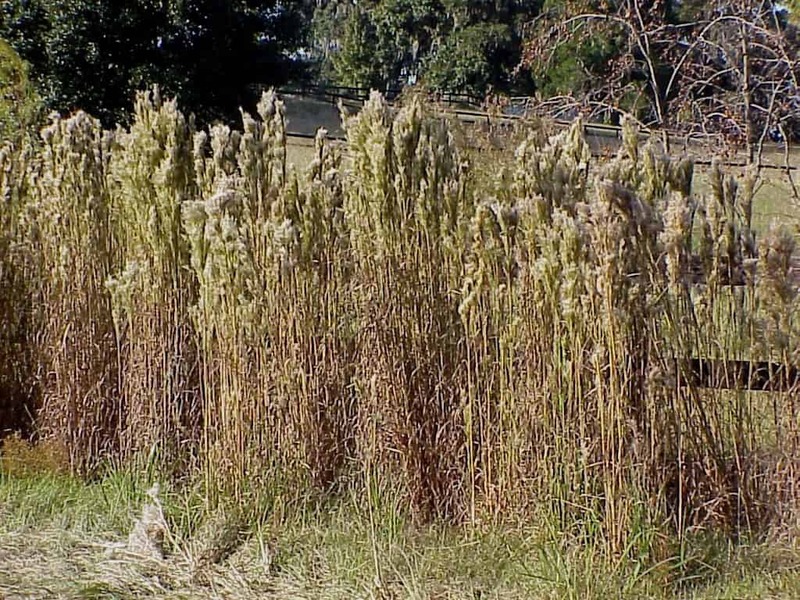 The 4 to 6 foot flower stalks appear in late summer and are easily recognized by the seed, with its maroon and blond hairs, which hangs on one side of the arching stem. It tolerates full sun to filtered sun, and dry to moist, sandy to slightly organic soils. Eastern gamagrass (Tripsacum dactyloides) leaves are a deep green and sword-like giving the plant a thick, bushy appearance. Mature plants reach a size of 6 feet wide by 6 feet tall so be sure to leave enough space for it to achieve maximum size. 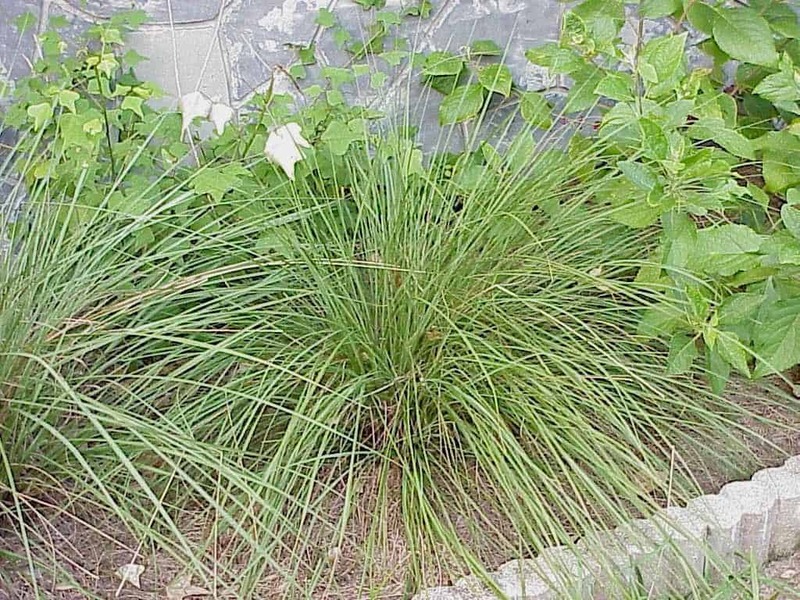 Its large size makes it a good specimen and screen plant, and a good alternative to pampas grass. The flower stalks appear in early summer. The flower stalk may reach 8 feet in height. It requires full sun to filtered sun, average to moist, sandy to organic soil. Florida mock gamagrass (Tripsacum floridana) is a miniature version of Tripsacum dactyloides. 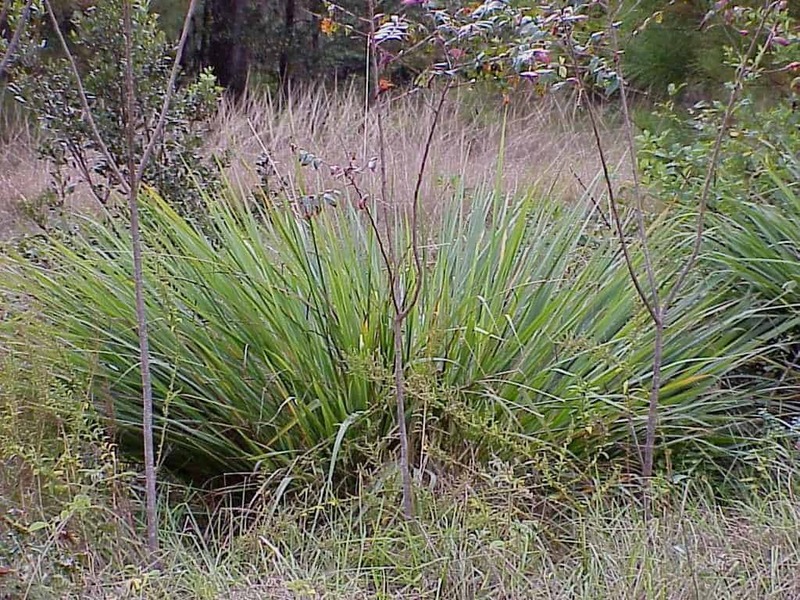 Its leaves are thin and its overall size is very small compared to regular gamagrass. It attains a mature size of roughly 2 foot by 2 foot, which makes it very useful in landscaping to add texture and not need as much space. It requires full sun to part shade with average to dry soils.